Are you ready to make your mark in the salon and spa industry? Going to beauty school is an opportunity to turn your creativity, talent, and passion into a rewarding career. With several options available, choosing a beauty school in Kennesaw can seem like a daunting task. 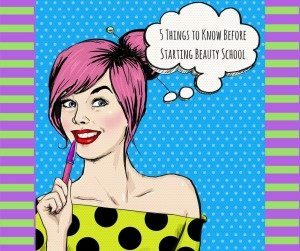 The following five tips will help you choose the right school, the right program, and will help you know if a beauty career is the right fit for you. Not all beauty schools are the same. Schools will vary depending on the curriculum, the teaching style, and the quality of the instructors. Vocational and beauty college programs may be less expensive on paper, but attending a board-certified cosmetology school ensures you receive all the necessary classes, hands-on training, and exam preparation you’ll need to pass the state board licensing exam. No matter which beauty school you look at, you’ll likely need to submit an application and take a tour of the school. Look for a school that provides a well-rounded lifestyle education, and offers options such as financial aid and career services. This helps ensure students are successful both in their time in beauty school and after obtaining their state license. Future students should also meet with an admissions advisor to go over their goals for beauty school, and gather information the school’s training programs. Before you make your way to the floor, you’ll start in the classroom. Lectures, textbooks, tests, and classroom discussions help you understand the fundamentals before you start practicing. Take this portion of beauty school seriously if you want to advance to the salon floor! This probably goes without saying, but a key piece in your beauty school training is hands-on learning. You’ll practice on mannequins, your fellow classmates, and eventually, the general public on the salon floor. You’ll cut, color, and style real hair, and perform other beauty services such as waxing, facials, pedicures, and manicures. This allows you to learn while doing, and also helps you discover which aspect of cosmetology you like best. Remember, practice makes perfect! A licensed and accredited beauty school will offer a variety of programs and career-specific training. Depending on the career path you choose, you can obtain licensure as a cosmetologist, esthetician, manicurist, or even a cosmetology teacher. You’ll discover the science behind hair, skin, and nails. You’ll learn a variety of cutting, coloring, and hairstyling techniques. You’ll also develop skin and nail techniques such as facials, waxing, manicures, pedicures, and nail art. As you can tell, beauty school is a lot of work, but it’s also a lot of fun. Beauty school enables you to pursue a career where your passions and talent come to life. If you’re looking for the best beauty school in Kennesaw, contact one of the academic advisors at Health and Style Institute. Check Out Our Free eBooks! Exciting Special Events at Health and Style Institute! !